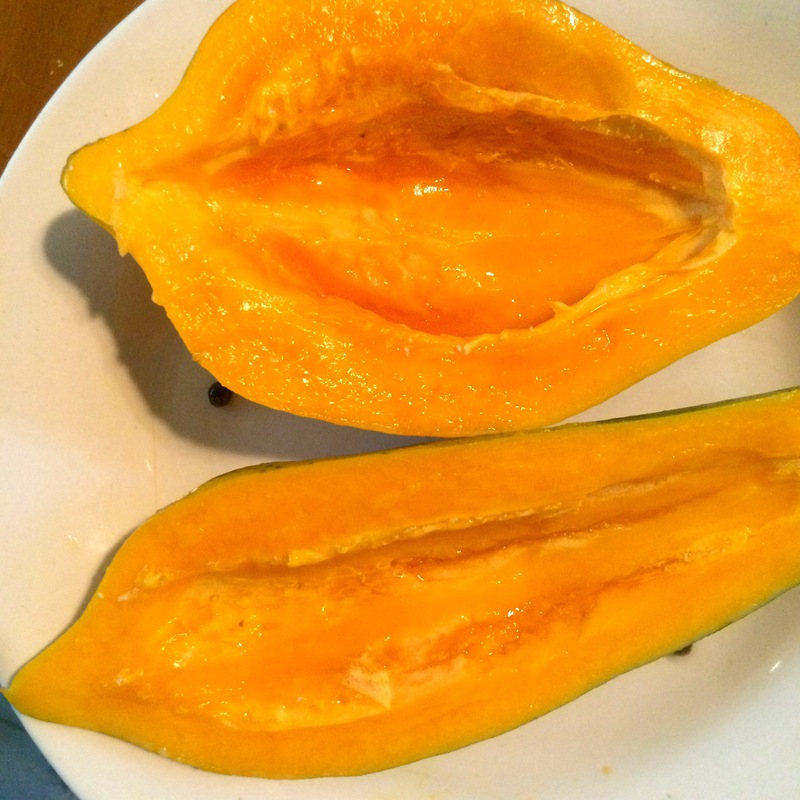 Mango season is not even in full swing yet, but it’s already time for fruit. 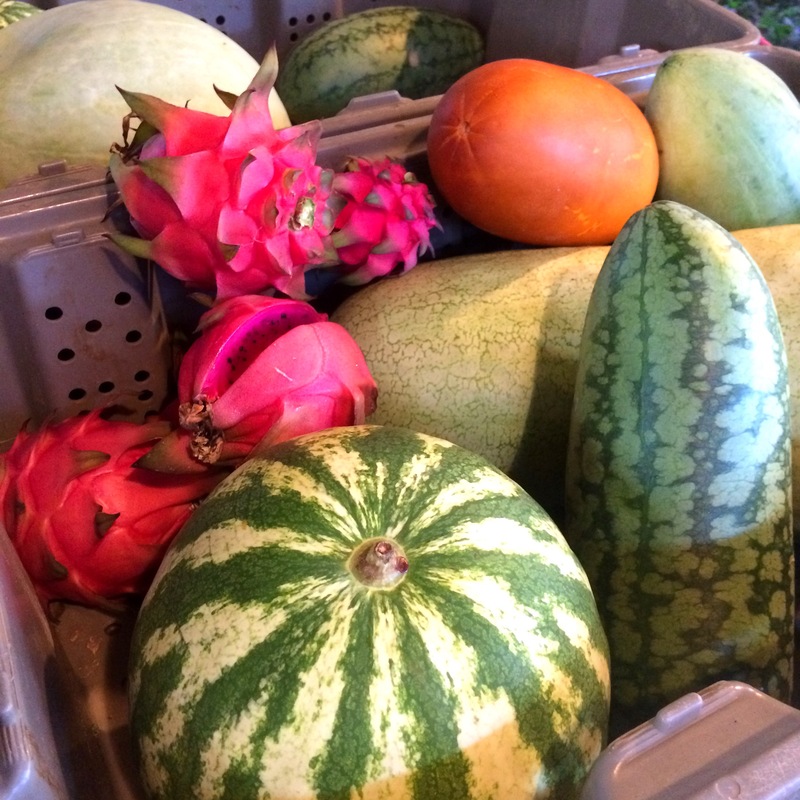 As the memory of tomato season fades, feast on these sweet treats: Loads of crazy good papayas, assorted watermelon slices and whole watermelons with pink or yellow flesh, Thai melons, pineapples, dragonfruit, passionfruit, and one or two bags of Mediterranean figs. 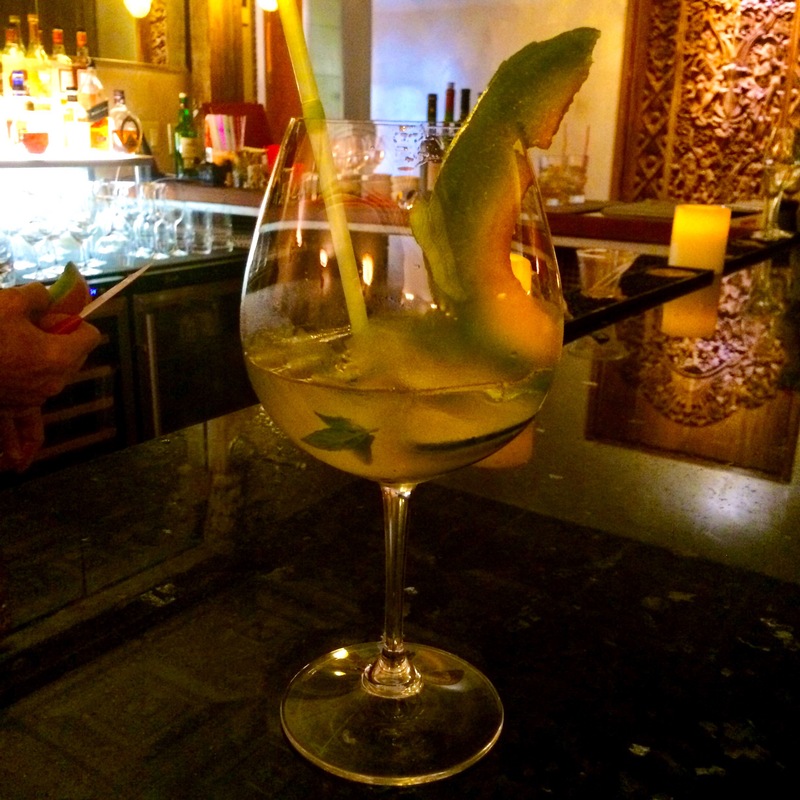 You can enjoy these fruits out of hand, but we really also like what Gregory at Galangal is doing with our Thai melon: a highly refreshing, sophisticated virgin cocktail with fresh mint, cucumber, and a few secret ingredients like seasoned rice wine vinegar to give it a kick! For reservations, call (340) 773-0076. Also fresh today: Sweet salad mix, baby spicy salad mix, baby arugula, bunched arugula, radishes, bell peppers, a few lingering pints of fresh cherry tomatoes, seasoning peppers, serrano peppers, Indian chilies, fresh ginger root with edible green shoots, garlic chives, recao, lemongrass, rosemary, and loads of fresh cut zinnia flowers. From our partners we have Fiddlewood fresh local goat cheese (early bird/limited supply), and from a neighbor we have parsley, dandelion greens, eggplant, padrone, and jalapeño peppers and fresh eggs. Open 10am – 12 noon Saturdays (and 3–6 p.m. Wednesdays) on South Shore Road! As always, thank you for supporting local family farms like ours!